Two-thirds of DDP is on the road again, visiting the South of France. (So please forgive us our occasional internet-related delays.) 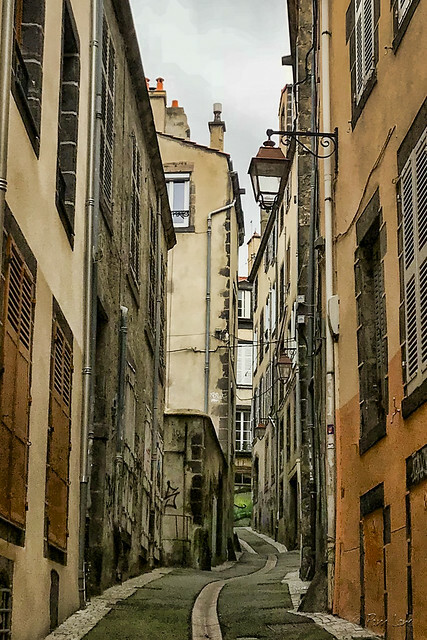 Today's picture is of a narrow, winding street in the old-town section of Clermont-Ferrand. Reading about the history of this town reminds me yet again of how young my city is. In Downey, "historic" is something from the 19th century. 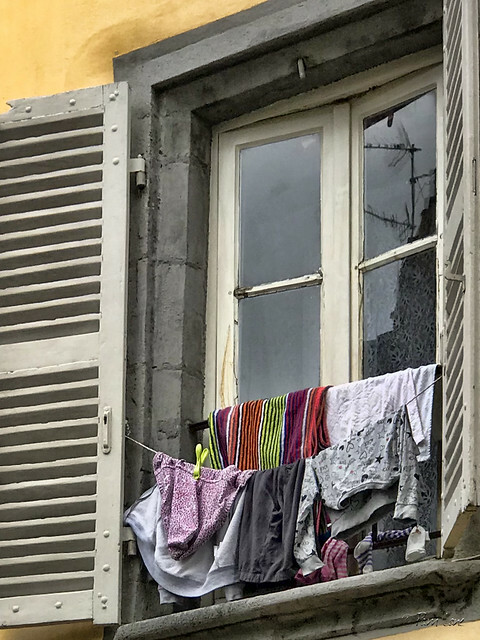 Clermont-Ferrand, on the other hand, is one of the oldest cities in France, being mentioned in Greek and Roman times over 2,000 years ago. Of course, the downside to all of this history and quaintness is a lack of space and modern conveniences.